Please contact a Board member if you are interested in the WSSA District 1 South Representative position. The meeting was called to order. Stephanie welcomed everyone & gave a brief over view of the agenda. Fabulous Ferrian Rides are posted on Facebook and if they are not posted you can message Jon Ferrian because he goes out nearly every weekend somewhere for Family/Intermediate or Advanced Rides. Also, Check or Post any potential rides on FB for upcoming rides. The Time: 9-8:00pm Dinner will be around 3-4:00pm Bring Potluck dish to share at dinner. Carl Corn has coordinated reserving the Rotunda. He clarified that there are sandy spots on the beach to park boats. Also wanted to remind everyone adult beverages are “Only” allowed in the Rotunda area, not on any other area at the park. He also mentioned that CDS is looking for volunteers to coordinate the Expo volunteers & a committee to organize the Holiday Party in December. If we are thinking about reserving Suncadia the 8th or 15th we need to do so early or will be not available for the party. This year we have reserved the Rotunda Day Use Picnic area at the Sammamish park and plan on smoking a Pig for the event. The Rotunda area is available from 9:30am and the Pig is expected to be ready for dinner around 3-4pm. Bring your favorite side dish to share at dinner and snacks for the day. If it's beautiful & sunny or even if it's overcast or a little chilly there is a fire pit in the shelter so bring your firewood & marshmallow's, too! Stephanie reported that Stevens is still opne on the back side for riding. 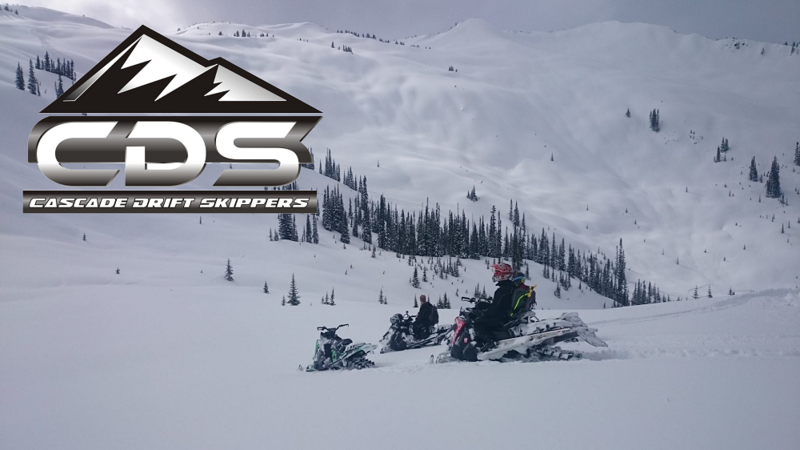 Jon Ferrian reported that Stampede-Lost Lake/Lake Kachess still rideable. Bill Yager reported that Reeser Creek, Blewett & Cooper still has snow, too! Jon Ferrian asked if anyone is interested the NW Glacier Cruisers is asking for help with their Mt. Baker Ultra marathon. Contact Jon. Pete Beaupain reported that he went to Maine for a week but they only have trail riding around lakes. Farther north to Canada there is mountain riding available. Carl Corn reported he took Stephanie & Alex to Pemberton & they had a great time 2 out of 3days riding the area. They also rode Rutherford & it was groomed trails past the cabin. They stayed at the Pemberton Lodge which is north of Whistler. 5k drive to Rutherford. Carl Corn also went to the Glacier House, Revelstoke BC in 11/2017 & suggested it’s a great possible destination ride for around 10 people in the future. Maybe Jan or Feb. You can ride in gas up & ride out of the town. Mick Steinman reported he has his Whistler timeshare available 4/28-5/4/2018 if anyone is interested call him. He is not able to go. Jon Ferrian would like to plan a Group destination trip to Cook city next year. Keep a look out for future info. Bill Yager & Mark McGraw are neck & neck in competition for the mileage award. Forest Service permitting process of 2nd signature needed has taken longer than expected. This resulted in the Beacon Station not being available this upcoming season. Warming hut project pending permit process. Mick Steinman reported that this Fall there will be 16 NWAC Board of Directors needed. People with financial expertise wanted. See Mick if you are interested. Jon Ferrian added that NWAC Board is comprised of Professional Businessman who are focused and have a high level of expectation. Great opportunity to get experience and for self-development. Jon also wanted to remind everyone of the NWAC Sled Fest at the Big Block Brewery on 5/19/2018. Buy tickets or membership for beer & pizza. New NWAC t-shirts will be revealed & big Raffle with Great prizes. Stop by after the Sno park cleanup!